As we celebrate the remarkable survival of one early 20th century star, (see my previous blog about Joan Fontaine), so another old-timer has popped their clogs today. 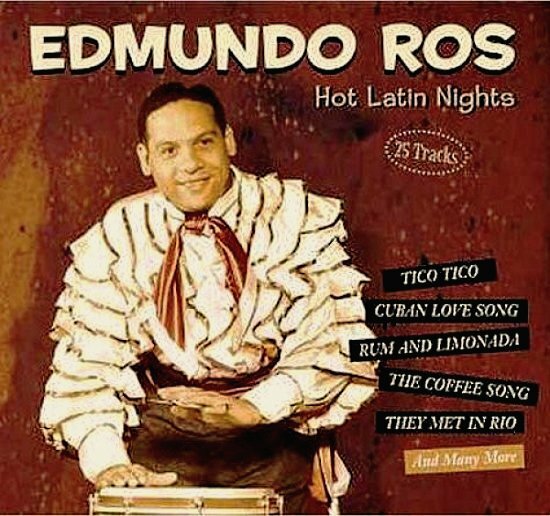 At the remarkable ripe old age of 100, we at Dolores Delargo Towers are rather sad to hear of the death of Edmundo Ros - the man who brought Latin Music to drizzly Britain! And off he goes to the great Cha-cha-cha in the sky... RIP Mr Ros.